1982 VAGABOND 47 — REDUCED TO 169.9K! If cruising to far off destinations is your dream -THIS is your DREAM BOAT. She is one of the finest Blue Water cruising vessels ever conceived, with the interior accommodations of a much larger vessel. You will never feel confined in her bright and airy interior, with headroom exceeding 7 1/2 feet. She has very private accommodations for her owner’s and guests, or crew, and her interior storage – cabinets, lockers, shelving, and under deck storage areas – is simply amazing. On deck you will find acres of walk-a-round space including a large center cockpit, huge aft deck, extra wide side decks, and large fore deck. 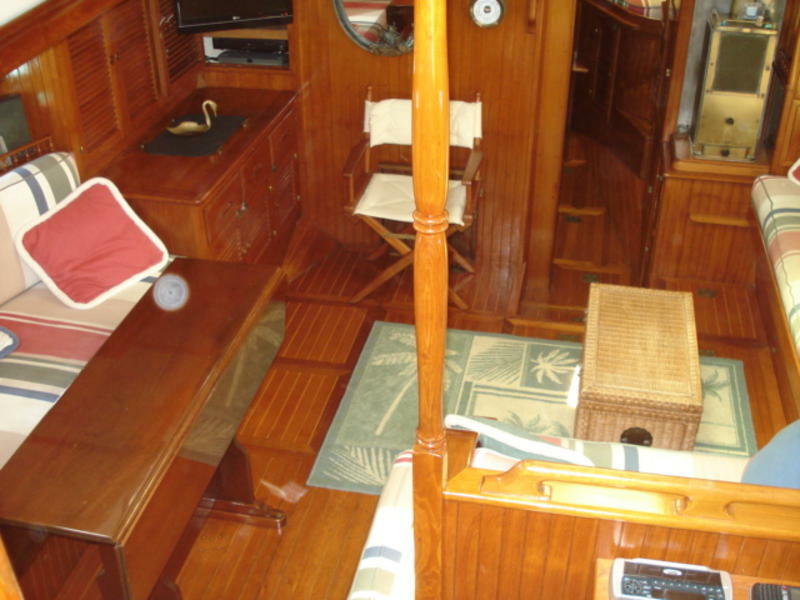 This is truly a classically designed yacht with all the modern conveniences. 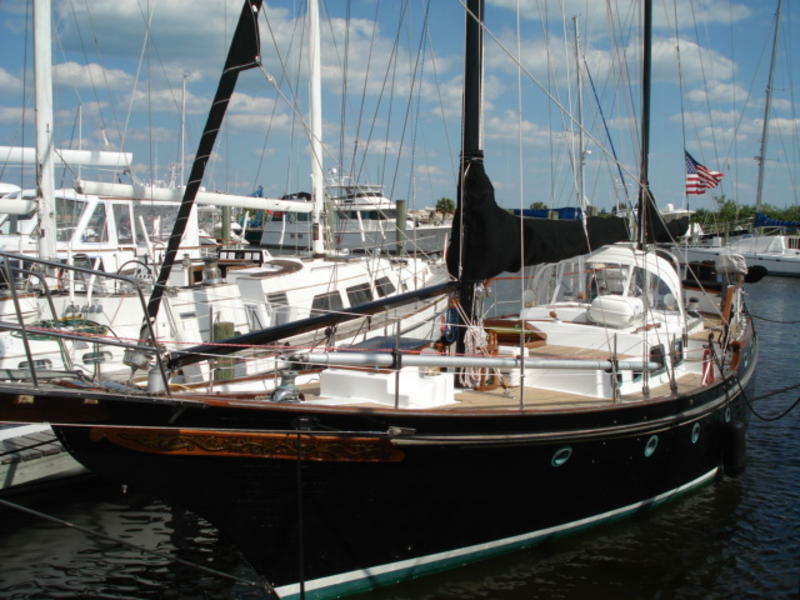 Her striking Midnight Black hull and spars, Clipper Bow and protected bow-sprit, Classic rounded stern with aft windows, beautiful carved wooden railings, attract the eye of admirers whenever she approaches. Do not miss the opportunity to be the next adventurer aboard this amazing yacht. THIS EXCEPTIONAL VESSEL IS FOR THE SERIOUS BUYER ONLY. SHE IS NOT FOR THE CASUAL OBSERVER, AND IS NOW BEING OFFERED WELL BELOW HER MARKET VALUE. ALL OFFERS REFLECTING THE QUALITY AND EXCELLENT CONDITION OF THIS VESSEL WILL BE CONSIDERED.